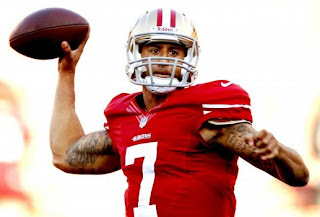 Colin Rand Kaepernick is an American football quarterback for the San Francisco 49ers of the National Football League. He was drafted in the 2nd round, 36th overall pick in the 2011 NFL Draft. He played college football at Nevada.